Remarks: Easy to handle, Asians love to eat these hard like apples. The best varieties have high “brix” (sugar) and taste sweet while still firm. Varieties with round bottoms hold up better and are much sweeter. 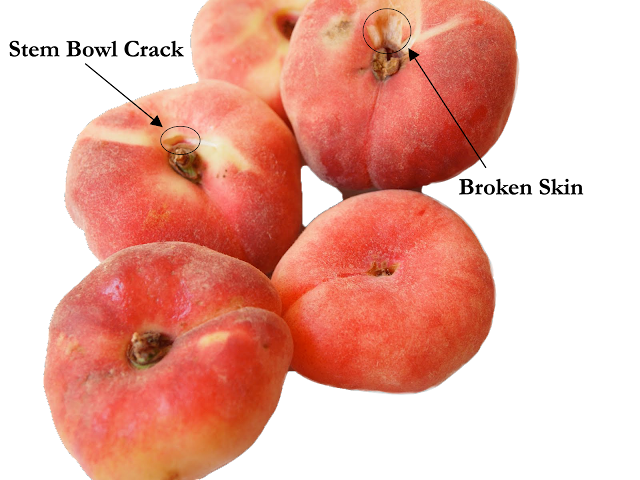 Displaying: Firm peaches can be left on display for 1-2 days with little impact. 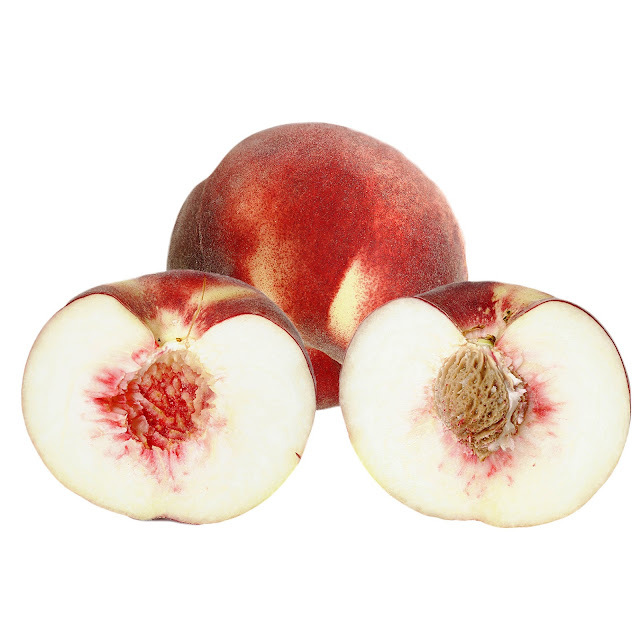 Unlike red varieties of peaches, white peaches do not smell when they are ripe. Instead, press gently against the flesh to test their ripeness. Regardless of when the fruit was received, always stack ripe fruit on top to move quickly. Display red side face up to maximize eye appeal. Put up a sign “Please Handle Gently” to minimize shrink. Rotate regularly and pull down ripe fruit at close and put back into the cooler. 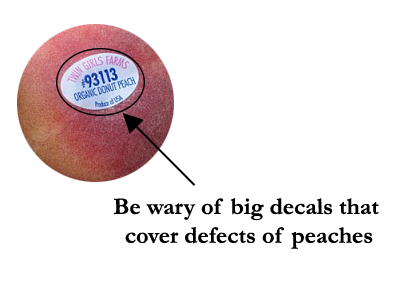 Many shoppers have never eaten white-fleshed peaches before, sampling can increase sales by +100%. 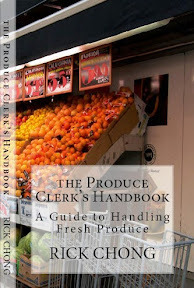 Cull soft, overripe fruit, bag up and sell at a discount. Do not use overripe fruit for samples, this will deter sales. Throw out decayed fruit. Receiving: If available, check the Lot Number, Grower Number, Packing Date and Variety. Inspect the fruit for color (green tinge), cracks and rot. Fruit with green shoulders will not ripen properly. 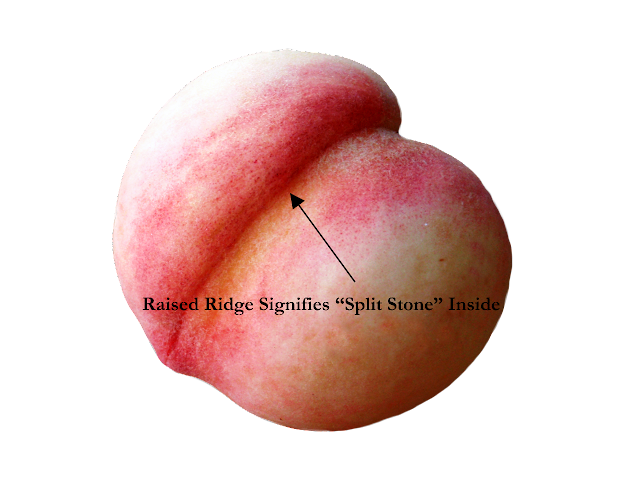 Deformed or misshapen fruit may be a sign of "split-stone" and should be rejected. Cut open a peach and inspect the pit for split stone (see Stonefruit Overview). Sample. Bottoms with a tiny black dot on their tips (needle size) can spoil on display in one day and should be rejected. Fruit should look clean, attractive and be firm to the touch. 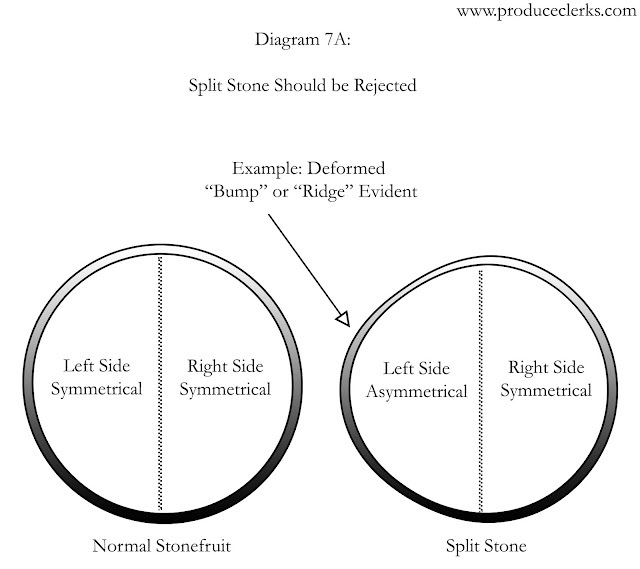 Reject fruit in general with an accumulation of more than 10% defects. 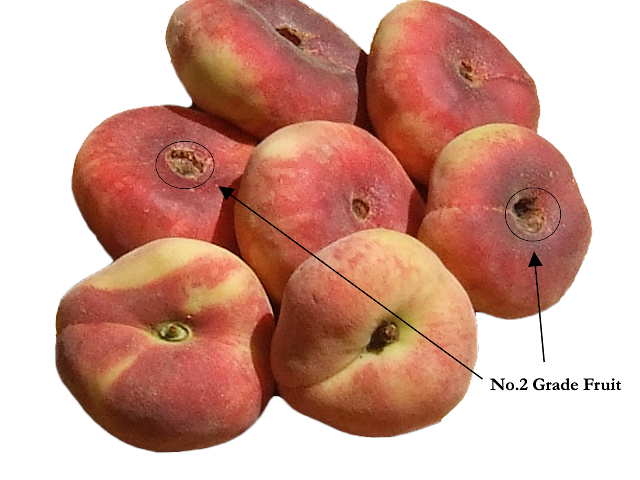 Remarks: Also referred to as "Saturn" peaches, "Flat" peaches and "Galaxy" peaches. Incredibly sweet, white-fleshed donut peaches are a real treat. Probably one of the sweetest pieces of fruit you will ever have the pleasure of eating. These varieties can be eaten hard or soft. Displaying: Highly perishable and usually sold at an expensive retail, displays should always be dummied or sold in single layer trays. Sampling will significantly increase sales. Fruit can deteriorate and break down in a single day if proper rotation is not followed. Pull displays at close and refrigerate. Receiving: The big problem with this variety is the broken skin around the stem bowl (similar to apricots). During harvest, extra attention must be paid by the pickers. Many packers put a big "PLU" decal over the top or bottoms of the peaches to hide skin damage or defects. When inspecting, be sure to lift the decals and check the quality closely. Some defects are to be expected, the best way to understand what is acceptable is to monitor your shoppers buying habits. Sample fruit to ensure it is not overripe or dried out. Look for skin abrasions, scabs and ugly discoloration, all reasons for rejection.